With the arrival of both the Phantom 4 and the new Yuneec Typhoon H in a relatively short time frame, everybody started to wonder which one reigns supreme. On the question of what’s the most affordable aerial video platform these days… there’s no denying that these two have the top spots. The Dji Phantom 3 and the Yuneec q500 4k are still amazing devices that have quite a few cheaper alternatives. But if you’re interested in the latest obstacle avoidance technology and look to get more serious without a huge investment keep on reading. Is typhoon H a good DJI inspire alternative? I will try to be as unbiased as possible, as I love both of them as much. But I have to give credits where credits are due. 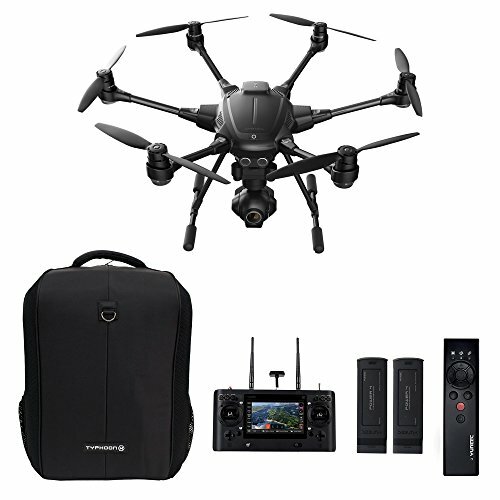 The battle is between a compact and technology rich quadcopter from a very popular manufacturer(DJI) and an incredibly versatile and stable hexacopter from another very respected company( Yuneec). Don’t get scared by the apparent size. The Yuneec gets much smaller when carried thanks to it’s retractable legs. There is no doubt this can be a difficult choice for many people. I have taken into consideration all the aspects of both drones, and for my speciffic needs, I have reached a conclusion at the end of the article. Both models come with a 4k 12 mp camera that has become the standard these days. They’re both very high quality, but in terms of sensors, most people would agree that the Phantom 4 has the upper hand with it’s sony exmor sensor that delivers a slightly improved image. The difference can be subjective so I’ll let you decide for yourself by showing you some actual footage below. However, I’d always pic the Phantom 4 thanks to the better sensor and light adjustment. In the pictures bellow you’ll see that the phantom 4 has better low light performance, however in some pictures, the Yuneec is sharper than the Phantom 4 and in others the opposite is true. another indicator of sharpness is the window detail at the dome on the building. I would say the Phantom 4 has the advantage when it comes to camera specs, as the higher bitrate will mean a clearer and sharper image. Otherwise, both cameras are pretty much the same. Both DJI Phantom and Typhoon have various shooting styles, including Dlog to improve the Dynamic range and better post processing color editing. Typhoon H uses a 4-cell battery (one more compared to the yuneec q500 model that has 3 cells) at 5400 mAh that according to yuneec will last for 28 minutes of flight time. From my personal experience, it is to be expected that the actual flight time is under 25 minutes, and I’m being conservative here. The 4 cell battery has more power, a feat much needed when you’re dealing with 6 rotors on a drone. The battery for the Phantom 4 is also a 4 cell 5350 mAh, but the fact it only has 4 rotors helps a lot with the flight time, as it can go more than 25 minutes (and up to even half an hour if you hover it in one place… not like anyone ever does this). The main difference between the two batteries is that the DJI drone uses a smart battery while the Typhoon drone uses a standard one. Both the typhoon H and the Phantom 4 have quick release propellers, a feature that will probably become the staple of more advanced drones from now on. The quick release props are exactly what they sound: propellers that you don’t have to screw to install every time and easily snap on and off. And don’t worry, these are totally safe . The advantage of the H in this case is the hexacopter build that allows it to safely return on the ground even if one of the propellers were damaged or one motor failed. Which in turn means more freedom in taking the right shot and full rotation capability with no stopping whatsoever. This is perfect for panoramic shots or the times you want the drone to fly at certain waypoints while you control the camera for a very calculated and precise shot (sometimes I feel like I’m talking about some sniper business). The build for the Typhoon H is pretty sturdy, even though the foldable design may trick you into thinking otherwise. The arms are made out of carbon fiber, a pretty solid one for that matter. Although the folding joints for the arms are from plastic, they’re solid enough and they’re definitely not cheaply made, so I’d say this will safely pass the test of time. The close up details look pretty good, but compared to the Phantom 4 they look cheaper.That’s mostly because typhoon is mostly made out of plastic while the P4 uses some magnesium alloy and aluminum. The portability of the Yuneec drone (thanks to the foldable design) is not something that can be easily ignored. Just consider for a moment that it pretty much has a similar build as the Insipre does(I’m talking about the longer 360 rotating camera) and yet the legs use almost no space when it’s stored, so it can safely be transported saving you the hustle of removing the camera just by snapping the legs towards the camera and making it into a way more compact package. Not only that, but the camera can spin around endlessly on the Yuneec drone, yet the inspire is limited to one and a half turns. These being said, Typhoon H is a great cheaper alternative to the Inspire from DJI, but it does lack a few features and the camera quality is less overall. But how does the size of the Typhoon compare to the P4? On the left you have a photo next to one another and on the right you have a pretty table that shows not only the exact dimensions folded and unfolded but also most of the characteristics for each drone. There is no doubt in my mind that everyone will think the Phantom 4 is small in comparison to the Yuneec, even if it can fold, it’s still more of a hassle to carry around. We have finally received the real sense technology module in the summer of 2016 and many people are excited for it, even though you have to pay additional money for it. The basic package doesn’t come included with the real sense module but it can be later added. However if you want to buy the whole incredible package ( Including all the things you could possibly need) you have to take out a little more out of your pocket. Drones like the new Mavic Air have this already implemented, and even bettery, I’d say. Yes, you heard that right! The typhoon also has a pretty nice modular design that allows not only the incorporation of the optional real sense technology but also other cool personalized feats that will be developed in time. So this might prove to be a very timely platform that will stand the test of time. Is the Phantom 4 avoidance technology any good? The Phantom 4 smart avoidance and detection technology is pretty damn good by itself and works great if you don’t plan on flying backwards too much. The incorporated system comes with 2 forward facing cameras that can optically detect distance from certain objects and even recognize the subject and follow it. Here’s a video showing a real life case where a disaster was avoided in time, while the drone was travelling at high speed. Underneath the drone there’s the already known sonar system that was present on the Phantom 3 advanced and pro versions, but this time there’s also another set of cameras that improve the indoor and low level flying steadiness and become a part of the obstacle avoidance technology. This means the area where the P4 can detect objects also extends downwards. The field of view is 30º horizontal and 60º vertical and it can detect objects at 15 m distance, while also showing a visual cue on the transmitter regarding the object you want to detect. The intel RealSense module for the Yuneec H will be covering everything 360 degrees around it. This will be a considerable advantage compared to the P4, as many shots are done with the drone flying backwards(helps with taking the props out of the video). This full 360 detection works in conjunction with the ability of the camera to move 360 degrees without any obstacles and make for a great video platform. 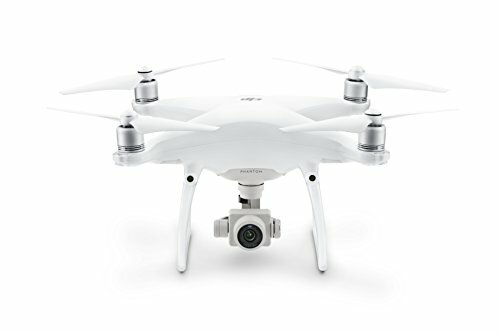 The DJI controller looks very similar to the previous versions( see phantom 3) yet it has some unique features that are worth being mentioned. It doesn’t come with an included screen like the Typhoon, so you’ll have to connect it either to and android or an Iphone. The connection works very well most of the time, however some people were complaining that sometimes you have to try a few times until it gets connected. One of which is the sport mode that allows you to go up to 45 miles an hour. Another flying mode for the DJI P4 is the TapFly mode that allows the user to fly to a speciffic location in 3d space that can be chosen by pressing on the screen image directly (not using the map, but the actual live footage itself). Smart mode is also something that makes a beast out of the Phantom 4, just because it's such an amazing tool for cinematographers to use. This mode helps you to easily keep doing circles around a fast moving object without the need of 2 pilots. Things like way-points and course lock are already included in the package and make for a total package where you can find anything you will ever need. The DJI Active Track mode is what makes this system look so smart compared to other drones. This is the mode where you can select a specific object or area in the DJI Go app and let the copter follow it by itself. Typhoon H transmitter - is it any good? The controller for the typhoon has a more integrated aproach to the design, something we’ve seen present in the previous models like the q500. The build with the integrated screen running android is still there, but this time the looks differ a whole lot. The main advantage of the Typhoon h is that you don’t have to get a separate device that must also be charged separately, but you basically have a built-in android tablet (and quite a well functioning one) inside the remote. You can upload to youtube and even edit the video, all from the transmitter. Just as the P4, the Typhoon H has various modes of operating ranging from smart mode to panorama mode and so on. What it lacks in object tracking capacity, it gains in cinematographic freedom. Remember that 360 rotation CGO 3+ camera? Well, you can not only do beautiful panoramas with it, but also make the aircraft fly at a preplanned way-point while you control the camera, and this time with no actual degree of restriction. If you feel overwhelmed by the freedom this 360 view gives to you, there's always the option to set the camera to behave like the old camera on the q500 and limit it to a certain degree range in front of the aircraft. Big plus: the yuneec transmitter features a full sized HDMI out port, so if you want to see the image on a bigger external screen, you can do that live, directly from the HDMI port, something you won’t find on the DJI Phantom 4(although there’s a separate module for this which can be bought for the dji craft). My personal choice would be the Phantom 4 from DJI because of all the reasons mentioned before. I’ll let you decide for yourself by giving you some other insight into the advantages and disadvantages of each. Here’s a 7 minute video review made by AuthenTech on youtube that will offer a bit more insight to the matter. Below that I also made a short list of the strong points of each of the drones. Leave a comment below if you made it this far, I appreciate it! Overall, when we put the advantages and disadvantages of both on paper, there’s not a real clear difference. You must pick what you’re interested in most, depending on where you’re going to use it! Hi I like your review because it sounds fairly unbiased. 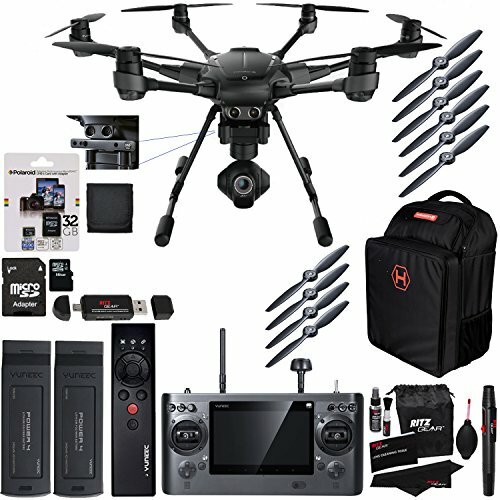 I own a Typhoon H myself & obviously would love it if Yuneec had even close to the same following that DJI has especially when it comes to 3rd party apps compatibility. Ok so for my question that is really bugging me trying to figure out either what app you are using or what mode or etc how the screen happens to look the way it does in your picture of IM thinking it may be the ST24 & not the ST16 but it is the very last picture on this page before the red banner that say “So which one is better >>>>>>>” it shows the Transmitter & the screen on the TX is showing a picture of what looks almost like a real airplane with the Horizon Vertical Accent/Decent in the middle of the screen then the Degree Heading of the drone or airplane that your flying, Im wanting to know if that is just a certain App or is it a YouTube video that has been overlayed with telemetry or is it showing actual live flight. I just have never seen that view on my TX but would be very interested to see if I could possible get that view while I fly my Typhoon H? Oh & BTW the shortened longest range that the Typhoon H has compared to DJI is incredibly easy & nice to fix. 1st off the FCC requires all manufacturer of R/C vehichles to have antenna’s on their TX’s that are NOT easy to remove & exchange with any other perhaps stronger antenna, in which we all can clearly see that DJI has been compliant with this for years as it is rather difficult to replace their antenna’s because it involves going into the tx case wheras with the typhoon H the Antenna’s easily unscrew & possess the exact same connection type as a normal internet router so you can easily upgrade those to increase range but then also their are 3rd party companies that sell full long range antenna’s kits. I for one have been able to fly my H out to over 2 miles & there are plenty of youtube videos showing you other that have flown even further than I, I just do not want to be the first guy to test such a thing (as what the MAX range is) because to be able to findout that info would mean that you’ve flown out to a distance that you are now unable to communicate with your drone anymore and therefore have lost it, someone else can do that before me. Its the same thing as telling someone to be the first person to test out a shark diving cage LOL what happens to the people that found out it didnt work???LOL?? Thanks for the awesome review! 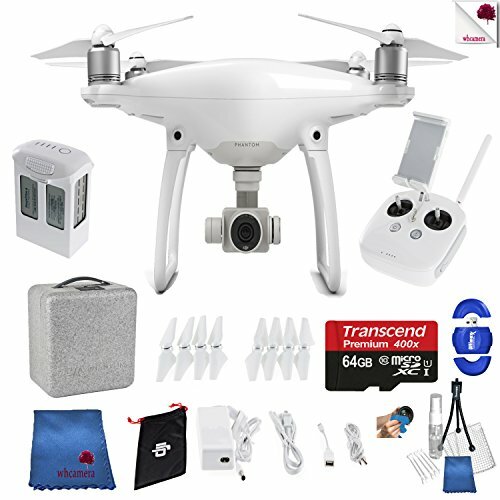 I’m interested in buying a Phantom 4 (I was considering a Yuneec before this review but think i’m gunna go for the P4 now). I would like to start shooting some real estate vidoes and charging for my service. After reading this article which suggests the P4, do you think that it is possible to learn on the Phantom 4 as a first drone? Or should I perhaps learn on a cheaper drone first and work my way up the to the big boys? Also, I assume that the quality of the Phantom 4 is good enough to charge for?